A creditor can object to a Chapter 13 plan on grounds that the amount of the debt listed on the bankruptcy schedules is inaccurate. After the bankruptcy court notifies creditors that have been listed on the debtor's petition, these creditors must file a Proof of Claim form listing the outstanding amount of the debt. If the amount is in dispute, the court will schedule a hearing on the matter, at which time the creditor as well as debtor may present their evidence and arguments. A creditor may find that the debtor has incorrectly classified the debt. A secured loan; for example, a loan contracted for the purchase of furniture or a car, may be listed as an unsecured debt without collateral. In addition, a creditor may disagree with the amount the debtor has listed as an arrearage on the debt. This is a common problem in Chapter 13 bankruptcy cases, when the confirmation takes place several weeks after the filing of the initial petition and schedules. In some Chapter 13 cases, a secured debt may have an outstanding balance that's higher than the value of the collateral -- a circumstance common in auto and home loans. If a debtor proposes a "cramdown," in which the loan amount is modified to the collateral market value, a creditor has the right to object. If the bankruptcy law bans a cramdown, and the creditor fails to object before the confirmation meeting, the court will still modify the plan on the later request or objection of the creditor, in accordance with bankruptcy law. Before the repayment plan goes into effect, the trustee will schedule a "confirmation" meeting of creditors, which the debtor must attend. 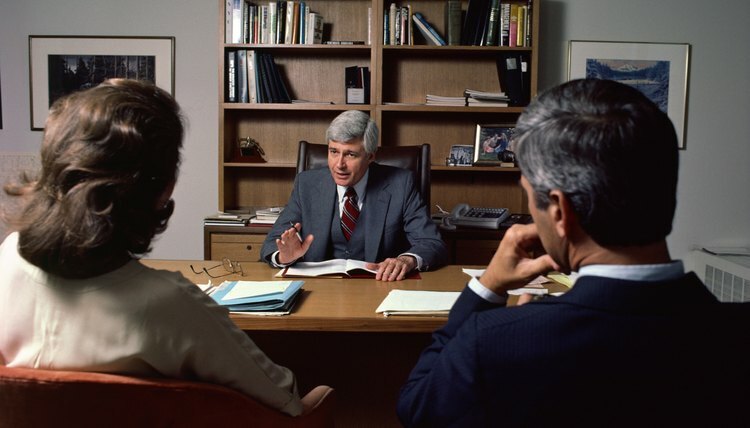 Before this meeting takes place, any creditor may file an objection to confirmation of the Chapter 13 plan with the court, serving the same on the debtor and trustee. The objection, and any evidence presented by the creditor, will be taken into consideration by the trustee at the meeting. After the confirmation meeting, the plan goes into effect. At this point, a creditor may only request a modification of the plan, which will result in a court hearing at which all sides may present their case.